Import Import / Select an application that references a file storage location / Click on "Next"
This dialog is used for assigning file storage locations that are referenced by the export application. Displays the name of the data field from the export application that uses the file storage location. Displays the assigned file storage location. 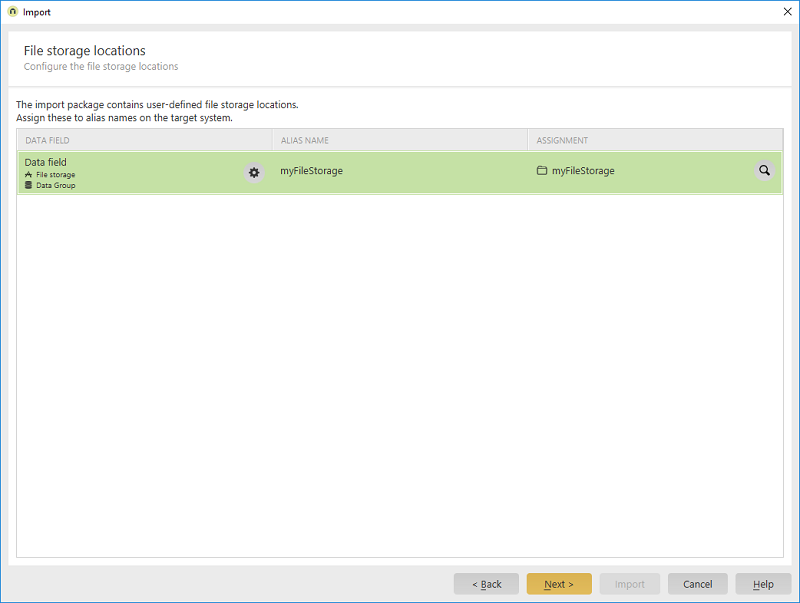 File storage locataions with the same name on the target system will be assigned automatically. Opens a dialog where the assignment can be performed manually.